They didn't even have fur yet — but are looking so much better now! 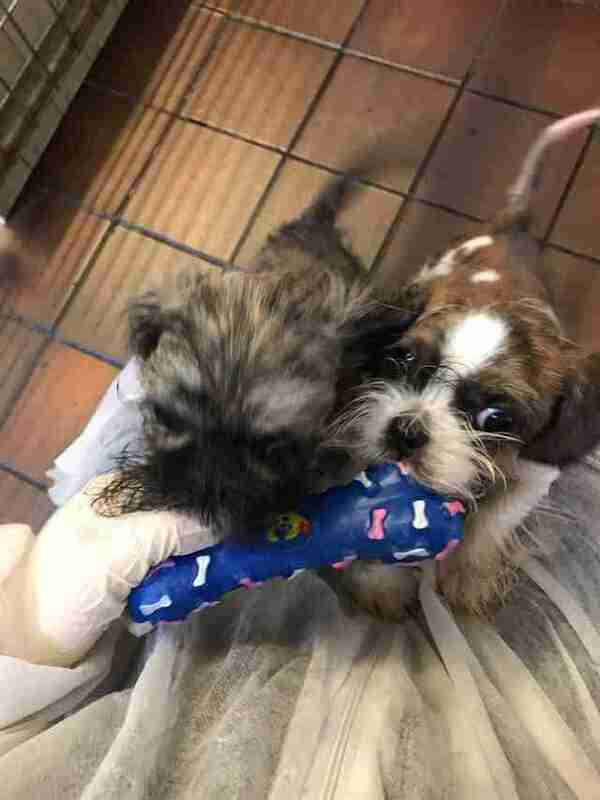 Brother and sister Lhasa apsos, Perdy and Pippin, got their first taste of the outdoors when they were dumped from a tote bag over a garden wall in Bradford, England. The then 6-week-old puppies were far too young to be separated from their mom, especially under such horrific conditions. Despite the odds stacked against them, the two small dogs were stronger than they seemed, withstanding over five hours of bad weather by cuddling together, CCTV footage would later reveal. Thankfully, rescuers were alerted to their presence, and arrived just in time. The pups belong to a “holy breed” once kept by Tibetan monks to protect Buddhist monasteries. Normally a breed known for long, luxurious hair that sweeps the floor, when Perdy and Pippin arrived at the shelter, it was nearly impossible to identify them. 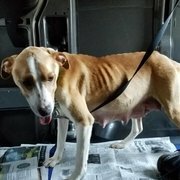 They were in an “awful state,” according to Meek, and almost completely bald, with only a few wisps of fur around their paws and face. 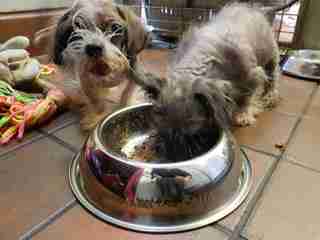 The puppies were additionally underweight, and clearly suffering from a painful skin condition. “As we are not yet sure what their condition is, we have been treating them as if their illness is contagious,” Meek said. “They moved straight into our isolation unit so [as] to prevent interaction with other animals.” The two get weekly medicated baths to help with their skin, and are being fed four times a day to help them grow. They are kept in a room with radiators blasting to keep them nice and warm, but that doesn’t stop them from snuggling up together. “They absolutely love each other and cuddle up together for naps — it’s so cute,” Meek, who has been caring for the puppies, told the RSPCA. 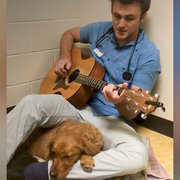 Though the puppies’ regimen has been a handful, the staff doesn’t mind the work. “The only challenges [I‘ve] faced with caring for them is not being able to kiss them all over their beautiful faces,” Meek added. A month into their stay at the RSPCA, the puppies’ health has improved, their fur is slowly growing back and their personalities have come out full-force. Unfortunately, Perdy and Pippin still have a long way to go before they can start searching for a forever home. “Once we are comfortable that they are fit and healthy and have been cleared by our vet then they will go up for adoption where we will seek out five-star homes for them, hopefully we will be able to rehome them together,” Meek added. 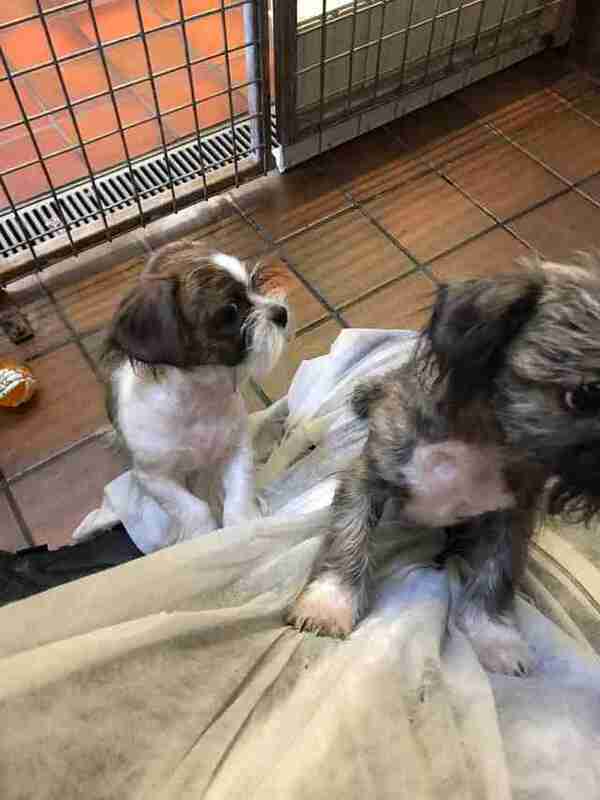 The Lhasa apso breed is popular with breeders and puppy mills, and Perdy and Pippin are by no means the only puppies who find themselves in a difficult situation so young. 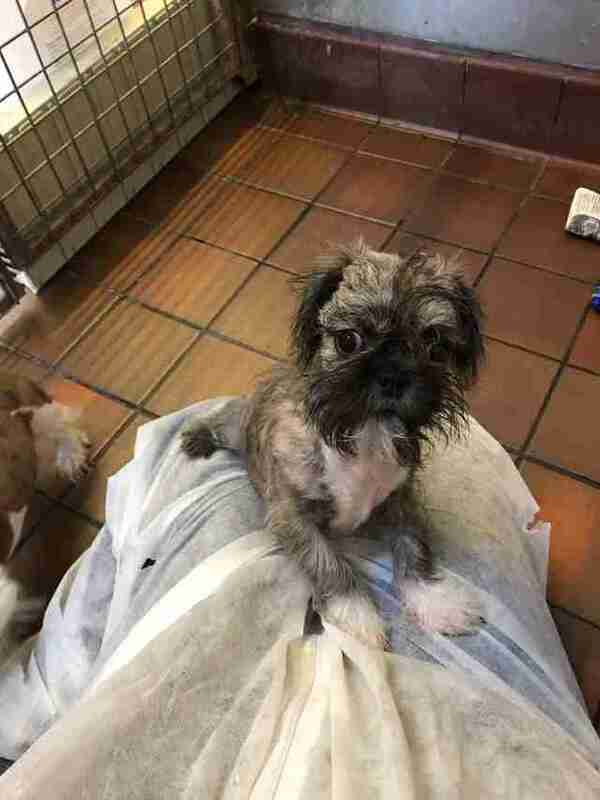 Anyone with information on the abandonment of Perdy and Pippin, or the whereabouts of their mother, should call the RSPCA’s appeal line at 0300-123-8018 and leave a message. 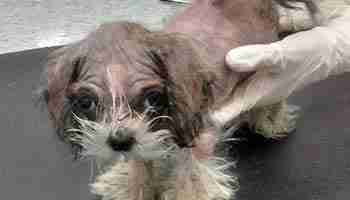 You can donate to the RSPCA here.